Draw Doodle and Decorate: You have permission…. Yes…..You have permission to use stencils! Really! They get your mind off of your lines, and on to what exactly you want to express on the paper. Did you know that many professional fields use stencils? Drafters, Architects, Landscapers, Interior Decorators, and Graphic Designers. Graphic Designers use a digital stencil or stamp called Brushes. If you’ve ever loaded “brushes” into your photo editing program then you know what I’m talking about. Digital brushes can do so much more than the simple manual ones pictured above. They’re pretty cool and versatile. Personally, I don’t think my “art” has suffered because I use stencils. I have found that my line drawing, my pencil grip have gotten better since I’ve taken to using stencils. It’s given me more confidence in drawing a straight line or a circle. The subtle or minor touches to a drawing have been enhanced because I’m actually spending time with my tools (pens, pencils, markers) now. I’m getting that practice in….who cares if I’m tracing over a stencil line? I’m not that proud... Well, maybe a little. Picture of hand from wikipedia. NOTE: Since I tend to get my tarsals, metatarsals, carpals and phalanges mixed up, this picture just may help me remember them. Did you know that the human hand has 27 bones? I found that out only because I really wanted to know how many muscles are in the human hand. I could not find this answer on-line. Anywhere! 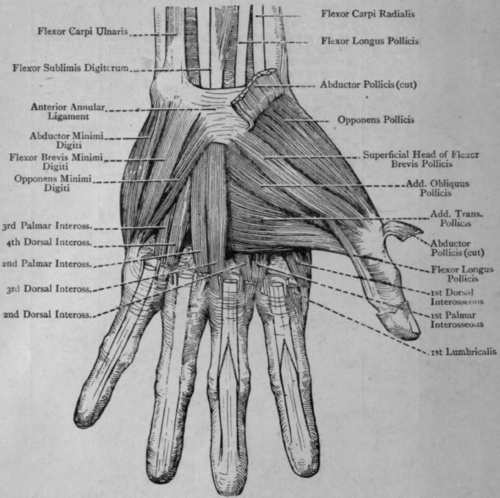 The articles I came across were all about the “muscle groups” of the hand. There was a lot of talk about the thenar, hypothenar, dorsal, volar and lumbrical muscles. Please……I just want a number, not an education. Was I going to be tested? Ugh! So, please if anyone knows the answer….. post, post, post. I really do want to know! Maybe there will be a prize???? My point is, that with all these muscles and bones, we really need to get our dexterity up to task. I think drawing, with or with out stencils helps with this. We don’t use our hands like we used to. Heck, with all the computer time I put in, my long hand has gotten super sloppy. Which means my ability to make my hand perform certain lines, marks and scrolls has suffered as well. This flower power doodle is in HONOR of stencils! Go, get out your stencils, your markers, your paper. Use those phalanges and have fun! It’s okay!! Really, it is! Beautiful doodling, Eden! Love the colors and scrolls, :). Great tip regarding using stencils, too. I'll get my anatomy books out and see if I can find an answer for you regarding the number of muscles in the hand; if I'm successful in finding it, I'll definitely let you know. Happy creating! Wow, does that sound liberating! You make some terrific points - like how our hands have gotten out of practice in handwriting because of computers. I don't know the number of muscles in a hand, but this looks like a pretty complete medical drawing. I'm off to get out my stencils - woohoo! Oh Eden, what a wonderful and uplifting post. 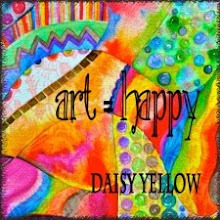 Yes, we are all artists in our own way, no matter how we do it. Whatever makes you happy and pleases you should be our motto. 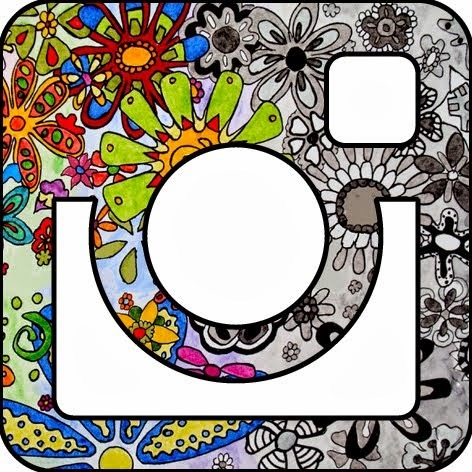 I love, love, love your "Flower Power" picture. You Go Girl.!!! I love this wonderful flower power picture! thank you for the stencil permission and encouragement! I want to get more... or maybe make more of my own. I have done that using cereal boxboard (tutorial on my blog) but someone left a comment mentioning using lids from yogurt/margarine containers and I loved that idea! much more durable and sturdy than boxboard. Personally, I don't see anything wrong with an artist using any tool they want and, if stencils is one of those tools, GREAT! It doesn't make them less of an artist in my view...it encourages their creativity. I always cringe when I hear other artists criticising the use of tools in art....even the use of a ruler is frowned upon in some art circles. I was a member of a Yahoo Drawing group once but I left when I witnessed this sort of criticism happening way too much. Certain members who worked in only pen for their drawings were basically saying that the use of pencil was not really art because the artist could erase and correct. Others would say that working from a photograph is not real art either. People like that really need to get over themselves and stop being so critical of others! What an awesome post this is!! I love all that about stencils and about hands. So interesting Eden(O: Your art is unbelievable and I too see nothing wrong with using stencils! Gorgeous flowers!!! And I use stencils, too....mostly when I spray paint but I have a lot of them. Everyone uses tools in whatever they do so why not artists, too. Just because someone can draw around a stencil doesn't mean they can produce something beautiful....they also have to be an artist and know how to add color, texture and depth. And YOU know how to do that so beautifully. Oh I love the flower power doodle. I use stencils just like Janet does, I have markers but don't use them much but maybe I should give them a whirl. But I agree that in drawing, we do make characteristic marks because of trained/habitual movement patterns - just like our walking gait, or the way we sit. I've been trying to find ways to expand those patterns myself. As for number of muscles - I don't have any books with me - but one thing that complicates the question is that some of those muscles are continuations of muscles from the forearm - do you want to include those? Where do you get your stencils from? These are the type I've been looking for but I can't seem to find them. Can you email me at nurse.mindylynn@gmail.com Thanks in advance. Oh, I forgot to tell you when at hobby lobby, michaels, Joanns, check out the scrapbooking department and the drafting departments.. Good Luck!